The immune system never sleeps. Help your customers keep going strong with quality supplements from Nature's Sunshine. 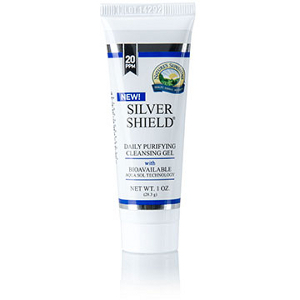 Highly bioavailable Silver Shield w/AquaSol supports immune system health with pure silver colloids. 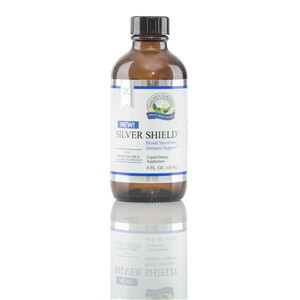 Special Offer: Buy 12 Silver Shield and get 6 Vitamin C Time-Release (60 tabs) or 6 Vitamin D3 (60) FREE! 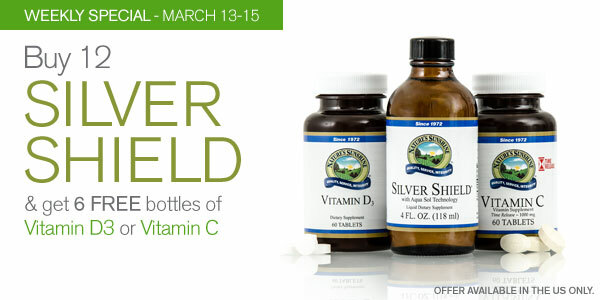 Vitamin C Time-Release tablets support immune health and protect against free radical damage. Vitamin C is water-soluble and needs to be replenished daily. Our time-release formula allows for a slow, steady release of this nutrient into the body to deliver vitamin C over a six-hour period. Vitamin D3 helps maintain the immune system. Recent research shows that vitamin D helps support immune function by regulating lymphocyte function, cytokine production and macrophage activity. It also supports bone and cardiovascular health and may improve mood. Offer valid March 13-15, 2014 only. Although inventories have been increased for this promotion, NSP reserves the right to discontinue any product sales due to exceedingly high demand and/or manufacturing constraints. Discounted products may not be combined with any other offer, discount or certificate. Offer valid in the U.S. only.